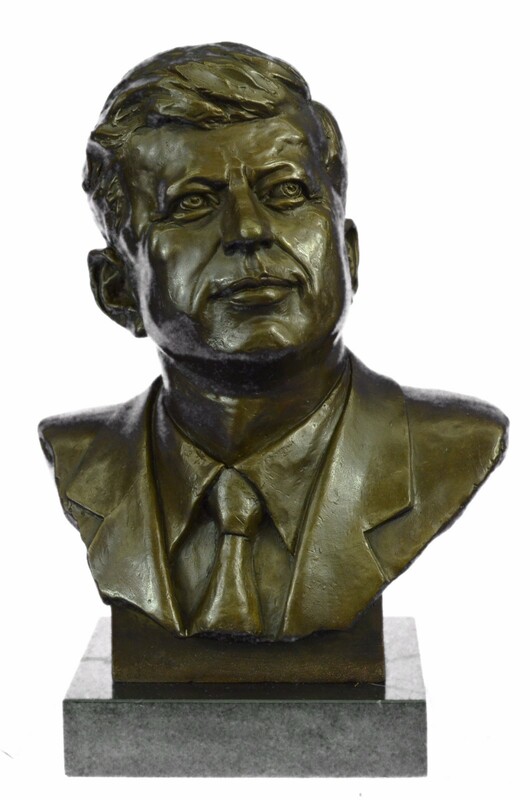 John Fitzgerald Kennedy Was The 35Th President Of The United States, Serving From 1961 To1963. 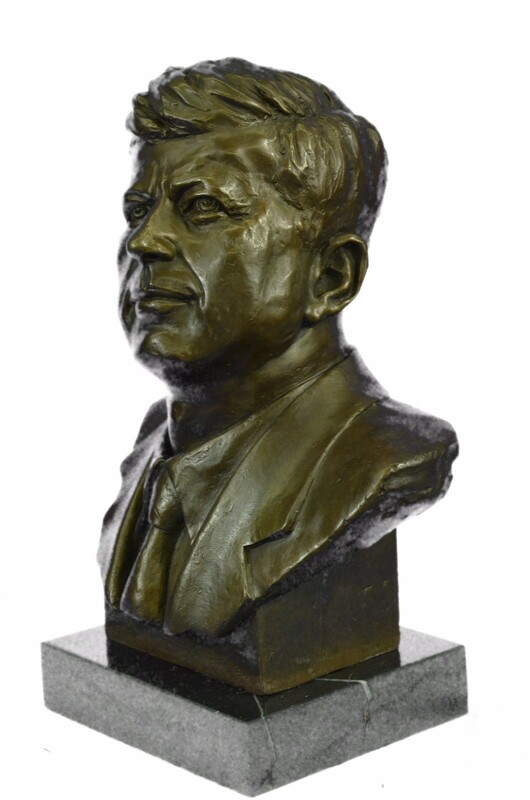 The Youngest Person Ever To Be Elected, Kennedy Was Assassinated Before He Completed His Third Year As President. 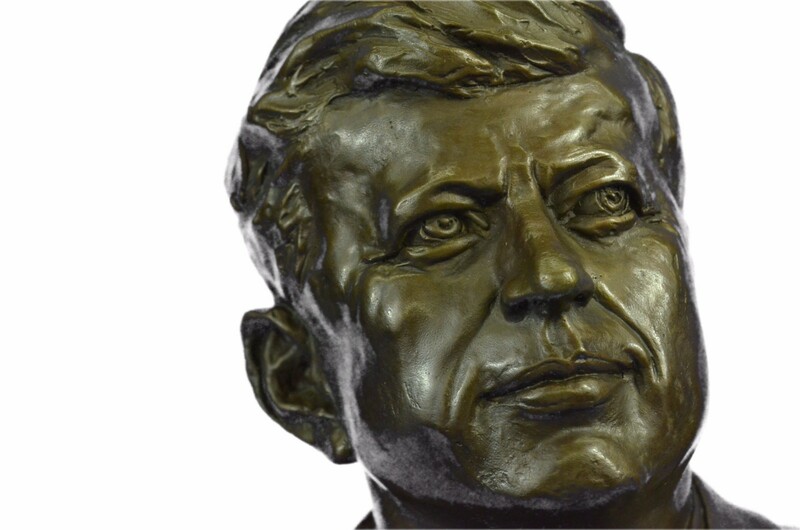 His Achievements, Both Foreign And Domestic, Were Therefore Limited. 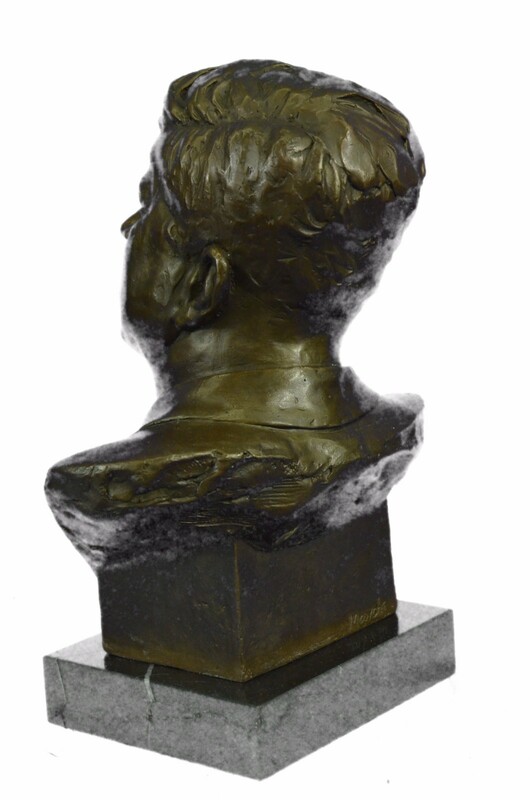 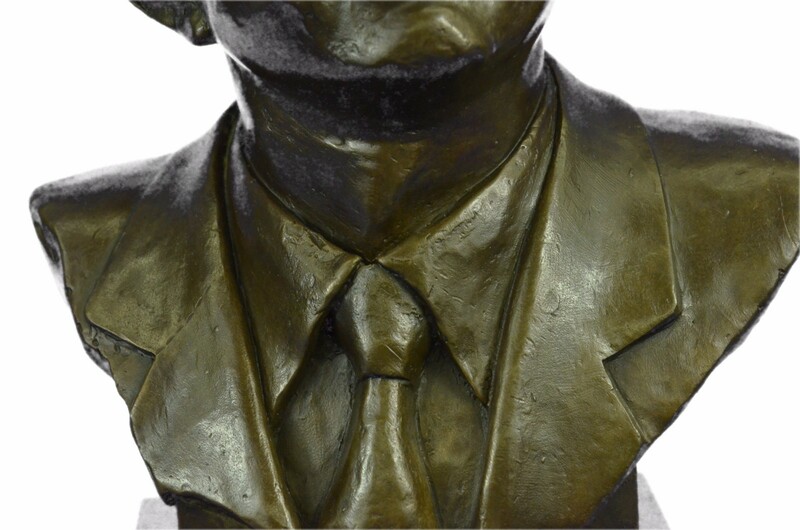 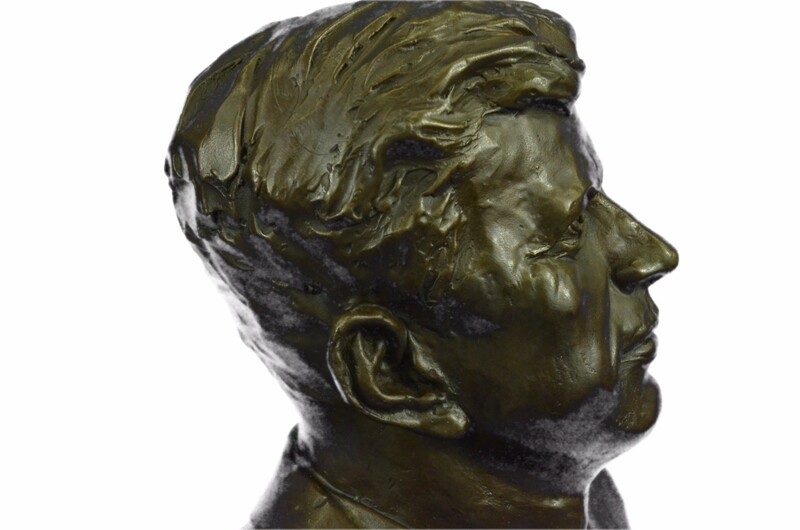 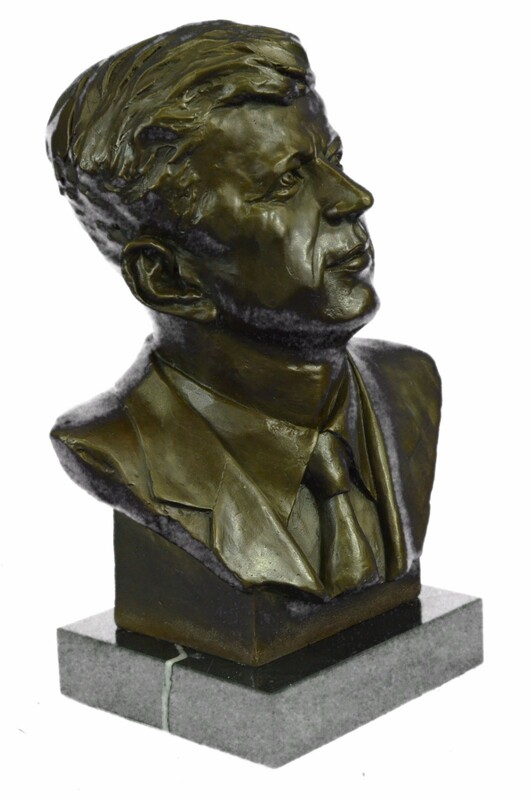 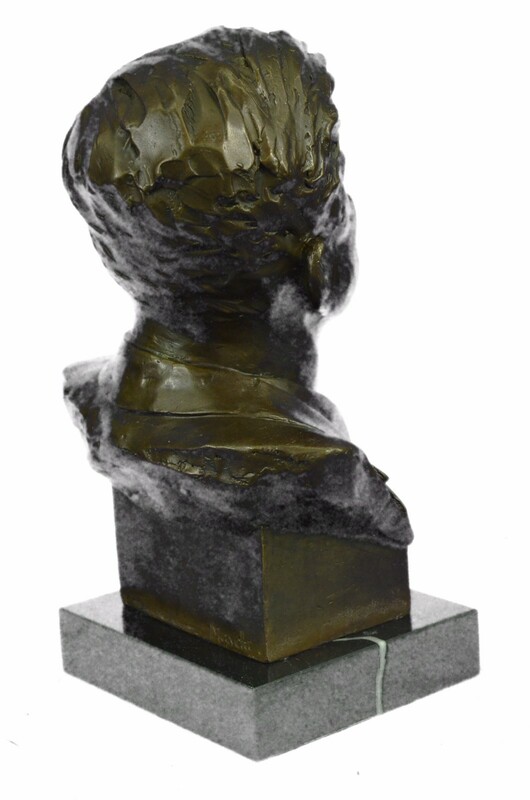 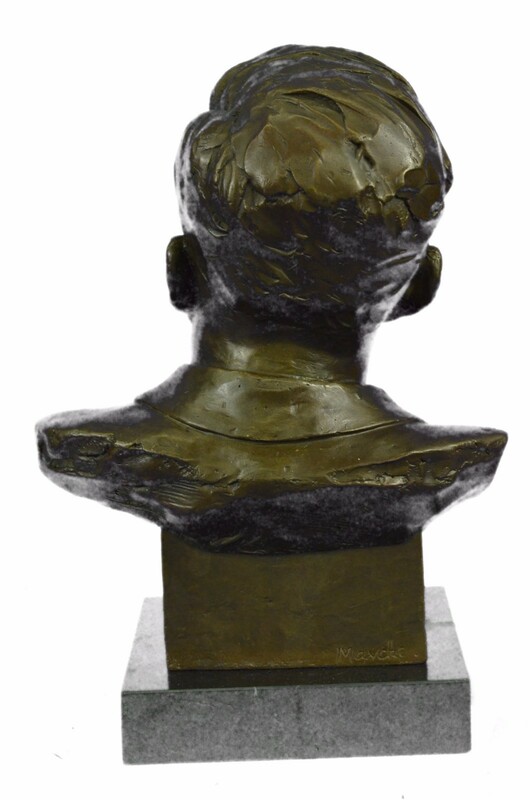 Nevertheless, His Influence Was Worldwide, Including His Handling Of The Cuban Missile Crisis Which Prevented War Between The U.S. And The Soviet Union.The 100% Bronze Limited Edition Sculpture With A Brown Patina Finish Is Mounted Upon A Black Marble Base With The Signature Of Artist Mavchi.